Carlton has always been newsworthy and here are month-by-month snapshots of what was happening locally. In January 1900, long before the health risks associated with climate change were known, Melbourne welcomed the new year and new century with record temperatures that saw sixteen people die from heat-related illnesses. The heat of the past five days has played havoc among old people, infants, and invalids, no less than 16 deaths from that cause being reported during the 24 hours prior to last evening's change. The deaths actually attributable to sun-stroke, or, more properly, heat apoplexy, number only three. Post-mortem examinations have yet to be made on the bodies of several of the sufferers, but in nearly all these instances there is little doubt that death was accelerated by the excessively high temperature. The popular term for heat apoplexy–sunstroke–is an incorrect one. The seizure is the result of heat only–the sun's direct rays are not necessarily to blame, as is popularly supposed– and an artificial heat is just as dangerous as a flaming noonday sun, assuming both to register the same degree of temperature. During the recent war between the United States and Spain, the stokers of the former navy were compelled to work occasionally in a temperature of 120 deg., and cases of heat apoplexy were frequent, although the weather was at the time mild and temperate. In fatal cases of heat apoplexy death results from heart failure. The heat of the body is regulated by the medulla of the brain, and the extreme heat acts upon the medulla until it can no longer perform its functions. The venous system becomes instantly engorged, the brain and the membranes of the brain are congested, and the right ventricle of the heart is so distended with venous blood that it can no longer pump it through the lungs. It is practically paralysed, and its action ceases. The lungs, liver, kidneys, and spleen are also found congested in fatal cases, and the arterial system is naturally depleted, owing to the congestion of the veins. The use of alcohol heats the system by its own action, and alcoholic excess increases the probability of the patient being exposed to improper heat. Children are more affected by heat than grown persons, because their systems are always more amenable to shock. Aged and infirm people suffer, on the other hand, because their hearts are weaker, and less able to withstand any undue strain. Amongst the sixteen casualties were two Carlton residents, from different age groups. A bricklayer named James Robinson, aged 65, fell senseless in the street and died later at his home in Princes Street, Carlton. A much younger man, Thomas Johnson, aged 32, collapsed at Freeman's Livery Stables and died in hospital without regaining consciousness. The death of a man named Thomas Johnson, about 32 years of age, in the Melbourne Hospital last night, has been reported to the City Coroner. The deceased, who resided at Freeman's Livery Stables, Lygon street, Carlton, was taken suddenly ill at 8 o'clock last night, and sent to the hospital in an unconscious condition. Dr Nattrass, who admitted Johnson to the instituton believes that he suffered from heat apoplexy. The man never recovered consciousness, and died an hour and a half after being admitted to the hospital. Mr Candler has instructed Dr Nattrass to make a post-mortem examination. The heat wave broke on Sunday 7 January 1900, with a dump of rain that lasted for several hours. HEAVY FALL ON SUNDAY MORNING. The heat wave received its quietus yesterday. The fall in temperature at the end of last week was merely comparative, and on several occasions a return of the hot weather was threatened. Sunday morning opened close and sultry. A stiff north wind blew dust and heat into the city, and there was every indication of a sweltering day. But at about a quarter-past 10 o'clock the wind suddenly subsided, and within a few minutes a blast came up the bay, cool and refreshing as a whiff from an ice-chest. Almost immediately, the gathering clouds commenced to drip, and at half-past 10 o'clock there was a steady shower falling all over Melbourne. In 10 minutes the gutters ran full, and a new element was imported into the storm with the banging of thunder. This waged for half an hour, and ceased as the shower increased almost to a deluge. The rain fell heavily until nearly 1 o'clock, when it suddenly ceased, leaving the air cool, the streets clean, and the dust laid. Between half-past 10 o'clock and 1 o'clock 70 points of rain were registered. This is the heaviest fall of rain that has been recorded for many weeks. On 8th November last 70 points were registered in the course of an hour and a half, but since then there has been no rainfall to approach it. The average fall for the month of January is 1 in. [inch] 85 points, and, including yesterday's record, 90 points, or about half, have fallen up to the present time. The storm evidently came from the south, with a westerly tendency, for it veered round to the south-west after the first half-hour. It was also fairly wide, and spread over a large area, for the reports from the country districts indicate that it passed over nearly the whole colony. The heavy rain had unexpected consequences at the Melbourne General Cemetery in Carlton and highlighted ongoing problems with drainage. A. Hamilton, M.L.A., addressed a meeting of his constituents in the Bendigo Town Hall last night. 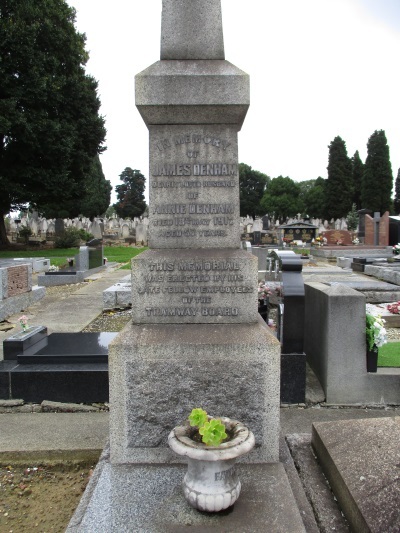 A disgraceful state of affairs is alleged to exist at the Melbourne Cemetery. It appears to be a practice to inter paupers in the northern end of the cemetery and not to fill in the graves until it is filled. On Sunday morning there was a very heavy shower of rain, and this had the effect of filling an open grave, with the result that, the coffin containing a body, which had been buried some days previously, floated and capsized. This disgusting state of affairs (says the Melbourne correspondent of the 'Bendigo Mail') was allowed to exist until some persons who were in the cemetery called the attention of a public officer to the fact. Even then the grave was not properly filled and the floating coffin righted, until between 4 and 5 o'clock in the evening. To add to the disgraceful arrangement, it appears that the drainage in this particular part flows through the greater part of Carlton, and if allowed to continue would prove a menace to the public health. Christmas is traditionally a time of good will, but this was not the experience of Constable J. Allison, who was attacked by hooligans while attempting to make an arrest in Madeline (Swanston) Street on Christmas Day in 1916. The case was heard two weeks later in Carlton Court in January 1917 and resulted in fines for two of the hooligans, who claimed to have no memory of the incident. "As a result of a disturbance in Madeline street, Carlton, on Christmas Day, in the course of which Constable J. Allison had his face so severely injured that he had to go to the Police Hospital, two men appeared before Messrs R. S. Callender and J. Love, J. 's P., at the Carlton Court on January 9. James Seymour, 24, tinsmith, was fined 20/, in default seven days' imprisonment, for offensive behavior ; £15, in default four months' imprisonment, for having thrown a missile; and £10, in default three months, for having resisted arrest. William James Pearson, 20, laborer, was fined £10, in default three months' imprisonment, for having assaulted Constable Allison. Constable Allison stated that on the evening of Christmas Day about 15 or 20 men were creating a disturbance in Madeline street. They had charge of the footpath. Some of them had bottles In their pockets. He ordered them to move away, and they went into Canada lane. Seymour was very offensive, and threw a bottle at witness. On being caught, he resisted, and witness had to throw him twice. While they were struggling, Pearson struck witness on the face, causing a severe injury. Witness's prisoner got away. Seymour and Pearson both said, on oath, that they did not remember anything about the affair." The opportunistic young thief who appeared in Carlton Court in January 1918 was not named, so we are unable to ascertain whether he graduated to a life of adult crime. Given his enterprise, it is also within the realm of possibility that he went on to be successful in business or politics. Prosecutions for Sunday trading were common in the early 1900s, but a case heard by the Carlton Court in February 1900 was the first of its kind. The commodity traded was not alcohol, or any other beverage. It was ice cream, sold by a vendor to children in University Street, Carlton, shortly after 11 o'clock on a Sunday morning. The temperature recorded around the time of the alleged offence was 98.7 degrees Fahrenheit (37.05 degrees Celsius) in the shade, so the ice cream vendor would have done a roaring trade if he had not been apprehended by Constable Robartson. Charles Goldspink, Justice of the Peace and a member of the Bench, lived in Rathdowne Street, near University Street where the alleged breach of Sunday trading took place. He was known to be lenient in low-level cases and he may have recommended the nominal fine of 2 shillings and sixpence imposed on the ice cream vendor. ICE CREAM AND SUNDAY TRADING. Section 31 of the Police Offences Act provides that the police "shall not permit any house, shop, store or 'other place' to be open for the purpose of trade or dealing" and the section was depended on in a prosecution in the Carlton Court to-day when Edward Johnston was proceeded against for selling ice cream during prohibited hours. According to the evidence of Constable Robartson, the informant in the case, the defendant was selling ice cream in University street at 10 minutes past 11 o'clock on the morning of the 28th January. The defendant, who appeared in person, admitted the sales as stated, and urged that he was unaware he was breaking the law. The Bench, which consisted of Messrs H. Edwards, D. Clyne and C. Goldspink, J's.P., decided as the case was the first of the kind that had come before the court to impose a merely nominal fine, and fixed the penalty at 2s 6d. There were several solicitors seated at the table, and much doubt was expressed as to whether the section could be properly applied to the sale of ice cream from a cart on the ground that it could hardly be said to be a "place open for trade or dealing." The Herald, 7 February 1900, p. 1. That was not the end of the matter of Sunday trading. A correspondent to the Geelong Advertiser objected to fruit being sold by Italian shopkeepers on the Sabbath. SIR.—I was much struck with a police court prosecution in the Carlton court reported in the "Herald" relating to Sunday trading, where a vendor of ice cream was fined a nominal penalty of 2s 6d under the following 31st section of the Police Offences Act, which provides that the police "shall not permit any house, shop, store or 'other place' to be open for the purpose of trade or dealing" on Sunday. Since the advent of Italian fruit shop keepers, this system of Sunday trading in fruit, temperance drinks, etc. has become an institution in Geelong, and has enabled the estimable foreigner to almost capture the fruit trade by this unlawful side issue. The Italians are our recognised national allies; they make respectable and reputable citizens with the exceptions that they pay no respect to the Shops and Factories Act regarding holidays to their employes [sic], combine in the way of board and lodging, and work all Sunday. The British shopkeeper who keeps his establishment open all the week days considers himself entitled to the day of rest, and takes it, but to the inevitable injury to his business. It will, no doubt, be argued that in the march of civilisation the public should not be debarred from obtaining these luxuries on Sundays, but at the same time it should be remembered that fruit supplies are easily obtainable on Saturdays, and as regards iced drinks, etc., any Christian community ought and should be able to do without those little luxuries during the few hours of the Sabbath. As a matter of fact, it is not the necessity of the thing but the opportunities offered to indulge in this pernicious habit, which has only grown up during the last couple of years or so. I don't wish to reflect for one moment on the Italian shopkeepers in their unceasing efforts to prosper, but I maintain that the Sunday Trading Act should be administered to its full extent, and thus place all in the trade on an equality. Geelong Advertiser, 9 February 1900, p. 1. The Geelong town council subsequently ruled that section 31 of the Police Offences Act did not apply to ice cream vendors and that fruit sellers were permitted to operate within the prescribed hours on a Sunday. Acting upon a petition from the Protestant Ministers' Association, and another from the shopkeepers, the town council recently decided that section 31 of the Police Offences Act should be enforced in regard to the observance of Sunday by fruiterers and ice cream vendors. It is found, however, that the section does not apply to the latter, and that fruit-sellers are permitted to do business before 9 a.m. and between 1 and 6 p.m. on Sundays. The act, however, is to be enforced to its full extent. The Argus, 9 March 1900, p. 3. Miss Barwell was at home alone one Saturday afternoon in February 1913 when a dashing young man dropped in unexpectedly. He did not enter the house via the usual means, nor was he suitably attired for visiting a lady. The visitor was none other than Zahn Rinaldo, an Austrian aeronaut, who was attempting an emergency landing from a hot air balloon when he was dashed through the upstairs bedroom window of a house in Faraday Street, Carlton. Perhaps the person most startled by the accident was Miss R.M. Barwell, who resides with Miss Dolan at "Bronte", 56 Faraday-street, Carlton. Miss Barwell, when interviewed after the accident said: "I was out in the back yard about quarter to 5 o'clock, when I heard a loud shout from the Exhibition oval. I was the only person in the place at the time. I looked up to see the balloon, but could not see it. I went upstairs to look out of one of the front windows. When I got close to the window I saw a man suspended from a trapeze, apparently coming through the window. The next instant there was a loud crash of broken glass. I received such a shock that I did not see what followed. When I recovered I found that the whole of the glass and woodwork of the window had been smashed by the force of the collision." When the lower part of the balloon struck the window, the balloon fell over the roof of Miss Dolan's house (No. 56) and carried away a portion of the top of one of the chimneys, and then fell, partly into Murchison square and into the City Council's store-yard. When the collision took place, Rinaldo released his hold of the trapeze and fell a distance of 18ft on to the footpath. In the days before there was a Family Court to rule on issues between husband and wife, decisions were made in the Police Court or, as in this case, the Insolvency Court. Clara Armitage (sometimes Bridget) had been bringing legal actions against her husband Cornelius since at least 1901, eleven years after they married. But this February 1917 ruling looks like the end of the legal road. It sounds as if it was close to the end for him too but, in fact, he lived another thirty years to the age of 80. "Appeals against maintenance orders were heard on Wednesday in General Sessions jurisdiction by Judge Johnston in the Insolvency Court. In the case of Cornelius Armitage, who appealed against a direction by the Carlton bench that he should pay 10/ per week towards the support, of his wife, Clara Armitage, evidence was given by appellant that he was very poor, that he only worked about one day a week selling crumpets, and that he was disabled through being deaf and almost blind. His Honor reduced the amount of maintenance to be paid on the order, to one farthing per week." The month of March 1890 was not a good one for William Dummett's business. Mr Dummett (Dummitt) sold boots, shoes and slippers from a shop on the corner of Lygon and Faraday Streets, Carlton. He shared the premises with Arthur Day, a watchmaker and jeweller. On 4 March, Dummett was a victim of shoplifting by two local women. A subsequent police investigation uncovered a hoard of stolen footwear at a house in nearby University Street. A RAID ON BOOT SHOPS. RECOVERY OF THE STOLEN PROPERTY. This morning, at the Carlton Police Court, two young women, named Jane Rainsberry [Rainsbury] and Margaret Osborne alias Cochrane, were placed in the dock on several charges of shoplifting. It appears that yesterday afternoon the two women, who had a child with them, were seen to go to the boot shop of Mr Dummett, at the corner of Lygon and Faraday street, and remove several pairs of slippers which were hanging near the entrance. A little girl who had noticed what had occurred immediately gave the alarm, and the women were seen to go to a house in University street, which it was afterwards ascertained was occupied by a Mrs Walker. The police were informed of the occurrence, and Constable Coghlan was soon on the spot and went to the house referred to. Here he found the two women in hiding, also the stolen slippers. On a search of the premises being made a quantity of other boots, shoes, slippers, etc., were found, which it was at once supposed had been stolen. Subsequent inquiries revealed the fact that the supposition of the police was quite correct, as the boots and shoes were afterwards identified by Madame Thomas, of Drummond street, and Mr D. Linklater, of Lygon street, as having been stolen from their shops. There is a quantity of other stuff which the police still require an owner for. When the prisoners were brought before the Bench Constable Coghlan briefly referred to the arrest, and Sergt. Doyle immediately asked for a remand, which the Bench (Messrs J. H. C. Sutherland, chairman, and J. Robertson, J's. P.) granted. The woman Osborne still had the child with her, and there was rather a distressing scene outside the Court whilst the prisoners were being removed, the child refusing to leave its mother, although the father was present and used every endeavor to pacify it. The women were remanded in custody and made another court appearance on 10 March. They were found guilty and sentenced to one month's imprisonment, despite their defence counsel's plea for a fine instead of a custodial sentence, on the grounds that the otherwise respectable women were under the influence of liquor at the time and had no prior convictions. This morning, at the Carlton Police Court, the two women, Margaret Osborne aud Jane Rainsbury, were charged with stealing a quantity of boots, etc., were placed in the dock to answer the charges. Mr Leonard appeared for the defence. A young woman named Annie Harding, a saleswoman in the employ of Madame Thomas, stated that on the 4th inst. the two women came into the shop at about half-past 5 p.m., and asked to see some boots. They did not make any purchase. After they went out she missed three pairs of boots. Those produced were the same. She did not see the prisoners take the boots. They were valued at 25s. Constable Coghlan stated that he and Constable Sanders had arrested the woman in a house in University street. They had the boots in their possession, which were subsequently identified by the last witness. There were two other charges against the prisoners, viz., of stealing boots from the shops of Messrs Dummett and Linklater, but in neither case the parties could not positively identify the goods, but they were exactly similar to boots and shoes stolen from their places of business. Mr Leonard stated that there was no doubt that the mat [sic] had been stolen by prisoners from Madame Thomas, but he pleaded in mitigation that both women were under the influence of liquor. They had both borne respectable characters, and had never been before a court. He thought the Bench might take advantage of the Amended Justices of the Peace Act, and inflict a fine, which, he considered, would meet the case, as the women had already been in gaol six days. The Bench sent both prisoners to gaol for one month. A few days later, in the early hours of 13 March, Mr Dummett suffered another misfortune when fire broke out in his shop. The local police were quickly on the scene and managed to extinguish the flames before the Carlton District Volunteer Fire Brigade arrived. Were the two events — the shoplifting case and the fire — simply co-incidental, or did the woman have an accomplice to avenge their imprisonment? A fire broke out at about 20 minutes to 5 this morning in a boot shop, situate at the corner of Faraday and Lygon streets, occupied by W. Dummett. The shop is a double-fronted one and divided into two, the other portion being occupied by Arthur A. Day, a watchmaker and jeweller. The fire was first noticed by a man named Galbert, an employe [sic] of the Corporation, who saw smoke issuing from the tops of the shutters and windows. He called "Police!" and almost immediately Constables Quinn, Miller and Mclntyre arrived on the scene. They burst open the front door, and discovered the window to be on fire, it having apparently originated between the lining boards. They immediately set to work to extinguish the flames, which they succeeded in doing, with the aid of a few buckets of water, before any considerable amount of damage was done, although a number of pairs of boots were destroyed, but probably L10 [£10] will cover the whole of the damage. The Carlton District Fire Brigade were in attendance but their services were not required as the constables had put out the fire by the time of their arrival. The cause of the outbreak is unknown. With the summer of 1917 over, moral issues were a prominent topic. Members of the Erskine Presbyterian Church, which then stood on the south west corner of Grattan Street, were concerned with the wellbeing of boys from the country. "An institute for young men has been opened by the Erskine Presbyterian Church in a delicensed hotel at 118 Barkly street, Carlton. The institute has been created for the purpose of providing a home, under religious influence, for lads coming from the country and is under the leadership of the Rev. L.C.M. Donaldson, minister of the church. There are four distinct divisions, namely, religious, social, educational, and domestic, these departments being under the management of four qualified superintendents. The institute also aims at another great object in the cause of boy life, and that is gathering in those Carlton youths who live chiefly in the streets and whose companions are most undesirable. This work is being carried on by the Young Men's Bible class of the Erskine Church, the members of which are contributing 10/- a week toward the upkeep of the Institute. There are already eight lads in residence, and vacancies for others." Another church group was active too at St Michael's in Macpherson Street, North Carlton. They warned of the moral dangers of mixed bathing and must have had some influence, because mixed bathing was not introduced at the Carlton Baths until 1930. The St Michael's, Carlton, branch of the Church of England's men's society discussed "what ought to be a Christian's attitude to mixed bathing. A motion was carried affirming that mixed bathing as it has been carried on in the last few years has helped to lower the morals of the community and this branch is strongly of opinion that stricter supervision of dress and conduct is urgently required." The Advocate of 2 March 1918 noted the passing of Sister M. Cyril, Sister Superior of St. Joseph's Receiving Home in Grattan Street, Carlton. The Receiving Home for unmarried pregnant women was first established in Barkly Street, Carlton, in 1902 by Margaret Goldspink, a well known charity and welfare worker. Within a few years, it moved to the larger premises in Grattan Street. The Receiving Home closed in 1985. One of the most beautiful of lives has ended here on earth in the passing to her heavenly reward of Sister M. Cyril, late Sister Superior of St. Joseph's Receiving Home, Carlton … Her work during the eight years she spent as Sister in charge of St. Joseph's Receiving Home, 101 Grattan Street, Carlton, was simply marvellous, and in itself would constitute the toil of a lifetime. No one could have been better fitted for her trying position, no one could have wielded the mighty influence this gentle religious did, upon the varying dispositions of its inmates. The poor girls under her care could testify to the unceasing attention she gave to every detail that concerned not only their spiritual welfare, but their physical comfort … A long personal acquaintance with Sister Cyril, through her sublime deeds of charity, filled me with ever increasing admiration of her magnificent and quietly executed rescue work. The call of anguish from a soul standing on the very brink of despair never reached her ears in vain. At once the trembling, shuddering soul was snatched from the awful abyss that threatened it, the lamp of hope was lit, the wandering feet were safely brought into an abode of peace and faith and love divine. In the same month Mr R.H. Solly, for whom Solly Avenue in Princes Hill was later named, protested against the reduction by £50 of government funding to St. Joseph's Receiving Home. In the Legislative Assembly, in the course of last night's long sitting. Mr R.H. Solly protested against the grant to St. Joseph's Home, at Grattan street. Carlton, being reduced from £300 to £250. He said that if the Government had to conduct the institution it would have to pay a large sum in salaries, but the sisters were purely voluntary workers. Unmarried women who are about to become mothers are treated in this institution prior to maternity, with the object of assuring the good health of mother and baby. Love makes the world go round, but for Gwendoline Bate the amorous attentions of her "dearest Romeo" turned her world upside down. In April 1906, she applied to the Carlton court for a warrant to arrest Romeo Truda (Trudo), an Italian musician, for threatening her life. A young woman of prepossessing appearance attended at the Carlton court yesterday, and applied to Messrs. Edwards and Goldspink, J's.P., for a warrant for the arrest of Romeo Truda, an Italian musician for threatening her life. She stated that her name was Gwendoline Francis [sic] Bate and that she lived in Barkly-street. Truda had, she said, threatened her life on several occasions. She had known him for nine months, and he wanted to force her into marrying him against her will. On the previous night and the night before that he broke windows in the house where she was residing. He said, "Sooner than see another man marry you I'll shoot you dead." She was certain he would carry out his threat if he got the chance. He carried a six-chambered revolver about with him, and was in the habit of getting very excited. About a fortnight ago he pulled it out, and pointed it at her head. On the previous night she heard him [at] the house, but kept in the background. He said he would break every window in the house and shoot everyone he found. She did not think he was right in his mind, and was afraid to venture out. Susan Beamish stated that she lived the house with her mother. She had known Truda for ten months, but had refused to let him into the house during the past four weeks. The complainant had taken the revolver from him twice, a witness had locked it up. She heard Truda threaten complainant. He said would treat her worse than Jack the Ripper treated his victims; that he would cut her from the head down, and across her body. On the previous night he smashed the front stained-glass window, causing damage to the extent of �2, and she proposed to summon him for damaging property and abusive language. He said he would bring all the blackfellows in Melbourne to get the girl out of the house and that when he got hold of her he would finish her. He walked the verandah for two hours, at times wringing his hands and flourishing his walking stick. The bench granted a warrant for the arrest of Truda on the charge of using threatening words. Truda appeared in Carlton Court the following week and was fined 40 shillings, in default fourteen days' imprisonment, for using threatening words. He was bound over in a surety of £50 to keep the peace for six months. Gwendoline, who thought that Romeo was not quite right in his mind, may have wished for a custodial sentence for her own peace of mind. The case in which Romeo Trudo [sic], musician, was charged with having used threatening words to Gwendoline Francis [sic] Bate, of "Bon Accord" House, Barkly street, Carlton, was called on at the Carlton Court, before Messrs Edwards and Clyne. J. 'sP., this afternoon. There was also an application by informant to have defendant bound over to keep the peace, and Marceline Moss, occupier of the house, charged accused with wilful damage. Mr W. J. Tucker appeared for the prosecutrix, and Mr Fyfe for the defence. A further charge of threatening to inflict grevious bodily harm had also been entered against accused. Mr Tucker drew attention to some remarks by Mr Panton, P.M. to the effect that the offence was of a trivial character, and said it was a very serious matter, as would be proved in evidence. The Chairman (Mr Edwards) said the facts of the case were placed before him, and he considered that he was fully justified in issuing the warrant. Gwendoline Bate stated that she had known defendant for nine months. On 17th Inst. he rang the bell at the door, and said they were keeping his girl (meaning witness) from him. He added that he would break every window in the house, and bring all the blackfellows to take her out and finish her by shooting her dead. On one occasion he broke the door of her bedroom in, pulled out a revolver, and said, "Look, I'll shoot you dead." Witness was going to throw herself from the upstairs window, but Mrs Beamish stepped her and took the revolver from accused. It was loaded in six chambers. Mrs Beamish kept it that night. She was afraid of accused, and could not go out because of him. To Mr Fyffe: He never had a chance to strike me. He attempted to shoot me by pointing a revolver at my brains. I do not make it a rule to have any photo taken with those who come to the house. I know the photo produced. I wrote the words, "To my darling boy, from Gwendoline." He asked me to write them. I also wrote the words, "To my dearest Romeo, with fond love from Gwendoline". On one occasion he threatened to shoot a cabman, but when the cabman got down from his vehicle defendant was nowhere in be seen. (Laughter). Susan Beamis [sic], daughter of Marcelina Moss, stated that on 17th inst, defendant drove up in a hansom, and sent the driver to ask if the informant was in. Witness said "No." The girl was trembling. Defendant said. "You are keeping my girl from me. By God, I'll have her. She is my property. I'll bring all the blackfellows in Melbourne to get her out, and then I'll finish her. I'll chop her down to the middle, and twice across." (Laughter.) Three weeks before that he rushed upstairs past witness, and burst in the informant's door. Witness found him with the loaded revolver in his hand, and the girl getting out of the window. She made peace with him, and informant handed her the revolver. To Mr Fyffe: He said a member of Parliament had given him permission to carry the revolver. Witness never knew him to hurt anybody. Accused was fined 40s, in default fourteen days' imprisonment, for using threatening words; and was bound over in one surety of L50 [£50] to keep the peace for six months. The charge of wilfully damaging property was withdrawn. The Herald, 26 April 1906, p. 4. In 1915 Dr J.A. Leach, of the Teachers' Training College in Grattan Street, Carlton, came up with an unusual scheme to relieve the suffering of patients in local hospitals and, at the same time, feed the starving people of Belgium. He set a target of 8,000 striped leeches to be collected by school children throughout Victoria. The timing of the collection in autumn was important to ensure an adequate supply of medicinal leeches over the winter months, when the slippery creatures were known to hibernate. The appropriately named Dr Leach offered to receive postal consignments of leeches at his address in Carlton and deliver them to the Melbourne Hospital, where a fee of 10 shillings per 100 would be paid. This money would go towards the Belgian Relief Fund. The appeal was run again in 1916, but the price had dropped to 5 shillings per 100 leeches. 8,000 LEECHES WANTED BY DR. LEACH. RELIEVE THE SUFFERING OF SICK VICTORIANS AND ASSIST STARVING BELGIANS. Dr J.A. Leach, of the Education Department, has initiated a scheme to help the Melbourne Public Hospital, in addition to assist the Children's War Fund, and finally to send food to heroic Belgians. 8,000 leeches are needed by the Hospital, and each school is invited to send as many as possible in small tins, containing damp grass, and posted to Dr. Leach, Teachers College, Carlton. He will deliver to the hospital authorities, and will forward the cash to the schools for the Belgian Relief Fund. He warns children not to go near deep water, nor to run any risk. DR. LEACH'S PLAN OF CATCHING LEECHES. Sink loose meshed sack, such as a potato-bag, baited with a scrap or two of raw meat, in a shallow water hole where leeches abound. After some hours the harvest may be gathered in safety. The price is 10s per 100. So that even 100 leeches mean 10s for Belgium. In each town, where there is a hospital, leeches are wanted. In each Australian State there are scores of hospitals, so that immediate action by school children, in senior grades should mean the salvation of hundreds of Belgians. The Black leech is not used. Hirudo quinquestriata fills the bill. Hirudo, &c., is full of beautiful meaning to Dr Leach and party; but the ordinary youngster who has fished for them with his bare legs, knows the breed as "The Striped leech." It is the Five striped leech which is needed at once before the frost causes them to hibernate. The postal address of each school sending must be plainly stated. Medicinal leeches are still in use today, mainly for plastic and reconstructive surgery, and for some alternative health therapies. They are no longer collected by school children and are specially farmed for the purpose. In December 2013, ABC Radio National reported that 3,000 leeches, well below Dr Leach's 1915 target, were farmed in Echuca in country Victoria. As this extract from an article entitled "Streets in Slumdom" indicates, long before the pioneering work of Frederick Oswald Barnett in the 1930s and the wholesale destruction wrought by the Housing Commission in the 1960s, there was concern about inner city housing conditions. "Off Cardigan street, Carlton, there is a cobbled lane, which is a network of blind alleys. The lane contains two rows of cottages facing each other across a 'street' width of 20 feet. The doors of the houses open directly on the lane. Two or three of the ten houses in the alley have yards about 10 feet square. The others are built over the whole allotment with rough wooden outhouses. The only place for the housewife's washing line is the lane itself. On the very lowest assumption thirty or forty people live in this lane, and it is one of the 'desirable residential quarters' of the district. The houses are by no means dilapidated. They are small, hopelessly cramped, confined, but they are stoutly built of brick, and it is only the back portions with their rotting timber additions that are actively objectionable. Imagine what such a lane must be like on a Saturday or Sunday in the heat of summer. That 20 feet of rough cobbled space is the only refuge for men, women and children from the heat of the dolls' houses they live in. The rents of these houses are only a few shillings less than the rent of a brick villa in the great open suburbs of Melbourne. Off Queensberry street there is a 12-foot lane leading into a whole labyrinth of narrow streets and blind alleys, scarcely one of which is more than 14 feet in width. Little Queensberry street so doubles upon itself that it is front and back to the same houses. It contains a nest of slum dwellings, one or two of which have fallen to pieces, or have been demolished. The ruins are left to rot on the allotments they were built upon. Some of the best of the houses actually possess front gardens, 8 feet is a fair average size, and then of course the tenants have to pay for the luxury by having 8 feet deducted from what would otherwise be a 10-foot back yard. The typical house in such an alley is a wooden structure, of four or five rooms, often not more than 9 feet by 9 feet." The article continues with descriptions of nearby "streets", Queensberry Place, Magenta Place, Ormond Place and Rodney Place. Nearly every suburb has had at least half-a-dozen plague scares during the last ten days. The process of originating a scare is the easiest thing in the world. It is only necessary for Mrs. Jones to mention to Mrs. Brown over the back gate that her "old man" has not been feeling well, and has a casual swelling, and in about two hours another plague case will have developed, and local rents will have taken a downward tendency. Carlton offers a case in point. Last Sunday afternoon half the suburb knew that the plague had broken out in a certain house in a certain street. Before 4 o'clock about a third of the population of Carlton had drifted past the house at a respectful distance, and the occupants noted the interest displayed in their home with growing wonder; two families had packed up hastily with the intention of shifting at daylight on Monday morning, and the neighbors were all coldly distant. Then came two officials in a cab. "It is reported that the plague has broken out in your house," said one to the woman who opened the door. The woman screamed at the idea, and a hunt failed to disclose the sign of sickness anywhere, and nobody could tell how or why the report had grown, but as the men were leaving again the housewife ran to the cab, "I know how it is," she said. "This morning I told Mrs. —, at No. 5, that my husband had been plagued with a sick horse all night." Leader, 19 May 1900, p. 22. Funerals were big occasions 100 years ago and the final journey of James Denham, chief inspector of the Melbourne Tramway Board, in May 1917 was accompanied by 900 tram gripman and conductors in uniform. The questions remains: With so many staff attending the funeral, did Melbourne's tramway system grind to a halt? "This Memorial was Erected by his Late Fellow Employees of the Tramway Board"
"The funeral of the late Mr. James Denham, chief inspector of the Melbourne Tramway Board, yesterday morning was a striking testimony of the affectionate regard in which he was held, not only by everybody connected with the tramway undertaking, but also by citizens in every walk of life. The cortege, which left his residence, 'Allandale,' Amess-street, North Carlton, at 10.30 a.m., was over a mile long. It was headed by the Tramway Band, playing the Dead March, about 900 gripmen and conductors in uniform, about 70 other employes [sic] in plain clothes, and about 30 members of the police force in uniform. Following the hearse, laden with flowers and containing a polished oak coffin enclosing the remains, was a floral car and a long line of motor cars and other vehicles. All the members of the Tramway Board were present, and other bodies represented were the Melbourne Benevolent Asylum committee, Heatherton Sanatorium committee, Victoria Bowling Club, Caledonian Society, Victorian Football League, Tramways Mutual Benefit Society, Railway department, Victorian Bowling Association, Victorian Naval and Military Lodge (Masonic), V.R.C. committee, Australian Tramway Employees' Association, Overseas Club and Lodge of Concord. The pallbearers were Messrs. A.E. Laver, J. Ellis, E Hart, J.G. Currie, E.L. Wilson, J.G. Roberts and J.V. O'Connor. After the burial service, Rev. H. Balcke, Presbyterian church, said the large concourse around the grave afforded strong evidence of the esteem and affection in which the deceased was held by all who knew him, especially by the employes, of the Tramway Board, who always had in him an officer who was sympathetic and just in his dealings with them." Note: 'Allandale' was at 272 Amess Street, North Carlton. Elizabeth Livingston (aka Madame Zephy), a fortune teller of Drummond Street, North Carlton, failed to foresee that the woman who came to consult her in April 1917 was, in fact, a police agent gathering evidence for her arrest and conviction. The case was heard in Carlton court in May 1917 . "Anxiety in regard to near and dear relations at the war has caused many people to consult fortune tellers, and, according to a statement made by Sub-Inspector Brady at Carlton court yesterday, the menace had become so great that police action was necessary. The remark was made during the hearing of a case in which Elizabeth Livingston was charged on two counts with having unlawfully used certain subtle craft to impose on Madge Conner and Kathleen V. Conner respectively. Witness paid defendant 2/6. She had no husband. He was dead. She had no son. In reply to Mr. J. Barnett, who appeared for the defence, witness said she was not imposed upon. Kathleen V. Conner, daughter of the last witness, said she visited defendant's place on 19th ult., and was told by the latter, among other things, that her father went to the war six months before his son, and they met in France. Witness paid her 2/6. Her father was dead. He was never at the war. She had no brother. To Mr. Barnett: I think I was imposed upon. Defendant, against whom there was a prior conviction under the name of 'Madam Zephy' in 1915, was fined £2 10/, with £2 12/6 costs, on each charge." At the Carlton Court today Egedio Dirago, an Italian, described as a laborer, was fined �20, with �4/4/ costs, in default distress, for having on or about April 26 distributed printed matter connected with the present war without having first submitted it to the censor. On another charge of having dispersed certain papers on April 26 without the printer's name, Dirago was fined �5. Thirteen years later, in May 1931, another man by the name of Dirago made an unpleasant discovery, which disputed the popular saying "an apple a day keeps the doctor away." When eating an apple yesterday, William Dirago of Drummond Street, North Carlton, grated his teeth on steel - and narrowly missed swallowing a needle. The fruit was purchased at the Victoria Market. The needle was disclored [sic] and evidently had been in the apple for some time - possibly thrust in as a "joke." "When plainclothes Constable I.G. Stock mounted the footboard of a motor car driven by Martin John Shelley in Toorak Road on May 26 he counted on dismounting in a few moments, he told the Prahran Court yesterday. But instead he was carried to Carlton. Stock said he was an unwilling joy-rider. He simply mounted the footboard to obtain Shelley's name. For having refused to give his name and address to the police after an accident on Toorak road, Shelley was fined £7 10s, with 1 shilling costs. The costs represented the money which Stock expended in tram fares on his return from Carlton to Toorak road. Mr. E. Notley Moore, P.M., said that Shelley's conduct had been impertinent, aggressive and illegal. According to the evidence a collision occurred between the car driven by Shelley and a car driven by Dr. Julian Smith. Stock and Constable A.C. Rice were on duty nearby watching for offenders against the motor laws. Constable Rice told the court that after the collision he said to Shelley, "I am a police constable. I want your name." He produced his badge. Shelley did not answer, but said to R.L. Connard, one of his passengers, "Crank her up." Witness prevented Connard from starting the engine. Connard replied, "You can take the number of the car. I know who you are." Shelley said again, "Crank her up." Witness again prevented Connard from starting the engine, and asked Connard his name. Shelley said to Connard, "He cannot put his hands on you." Connard then cranked the car, which almost knocked witness down. Witness jumped aside and pulled Connard with him. The mudguard of the car hit him. The car stopped after travelling a few yards. Witness said to Shelley, "What is your name?" Shelley did not reply, nor did not take any notice (sic). Witness said to Stock "I think this man is drunk." Shelley then drove away, and Stock jumped on to the footboard of the car, which was running from one side of the road to the other. The registered owner of the car was Charles Dopkins, of Drummond St., North Carlton. Describing his unlooked-for ride, Stock said that Shelley drove up Toorak road at a fast pace, swerving all over the road. Witness directed Shelley to pull up at the St. Kilda Road police station. Shelley made no reply. He drove down Walsh Street, South Yarra, then into Domain Road, up Anderson Street, across the bridge, back to Punt Road, through Richmond, and then through a number of other streets. Finally he stopped the car at his back gate in Rathdown Street, Carlton. It was then 5.53 p.m. Witness had jumped on the car soon after 5.30 p.m. In the course of the drive Shelley said to him, "Get into the car. You will be more comfortable." Witness asked Shelley to give his name. On arriving at his back gate, Shelley said to two men who were sitting in the back of the car, "I want you as witnesses. This man (pointing to Stock) said I was drunk. I am going to sue him for defamation of character." Shelley, who said he was a motor mechanic, told the court that he was guilty under provocation. The constables had no right to say he was drunk. He gave up his Saturday afternoons to driving sick soldiers about. When the collision occurred he was returning from the Caulfield hospital. For having obstructed Constable A.C. Rice in the execution of his duty, Richie Lindsay Connard was fined £1. Mr. Moore (to Connard) Had you been drinking? Connard: No. Mr. Moore: I cannot understand your conduct. You ought to be ashamed of yourself. A charge against Shelley of having driven a motor-car at a speed dangerous to the public was dismissed." Martin Shelley was no young tearaway. When this escapade occurred he had been running his cycle-building business in Rathdowne Street for some twelve years. The back gate where his unwilling passenger finished his ride was at no. 430, close to Fenwick Street and today the Feathered Bower. As his business grew, he had moved to that building in 1911 from a smaller shop in the same block. By 1921 he was to move again, this time to no. 520-522, a custom-built workshop and garage on one of the few remaining double blocks of vacant land in that part of Rathdowne Street. He traded there until 1940 when the building, with only minimal alterations, became Pullars Dry Cleaners. In this form it survived until 2013 when it was demolished to make way for an apartment block. 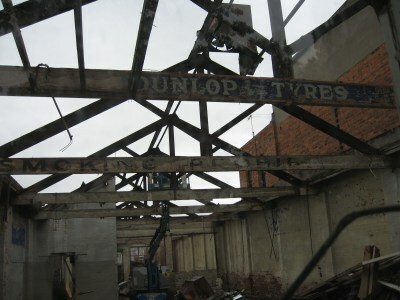 At this time traces of Martin Shelley's garage were still clearly visible in the building. More information on the development of 520-522 Rathdowne Street. Today the average number of births to Australian woman is fewer than two and discussions of motherhood focus on helicopter parenting, mum's taxi and the guilt felt by many women juggling the demands of family and job. One hundred years ago, motherhood seems to have been very different. The following two items, published in June 1918, celebrate fertility and stress the importance of very simple social events to women who, on the whole, spent most of their lives in their homes. In an unpretentious way, The Women's Own Sunshine, a group which meets every Thursday afternoon in the Palmerston street Methodist school hall, Carlton, is doing good work, letting light in dark places and spreading good cheer in quarters where sinister influences generally have free play. On Thursday it had a Baby Day; about 100 babies, not one more than 12 months of age, were brought in by their mothers. The prize for the mother who had had the largest number of children was won by a mother with 11. Two hundred and sixty women were present. There were 23 first babies and three soldiers' babies - the father of one of whom had been killed; three babies were baptized. The Rev. G. F. Dyson (superintendent) presided. In the second item, considering that the event took place in Carlton, there is very low representation of non-British families; perhaps language was a problem. A gathering of 28 great-grandmothers took place recently in the Methodist school room, Palmerston street, Carlton. The old ladies had as descendants 300 children, 700 grandchildren and 260 great-grandchildren, making a total of 1260 persons. All but four of the great-grandmothers were natives of the British Isles. The oldest lady present was aged 90 years, and the youngest 65. The one with most descendants showed a list of 13 children, 45 grandchildren and 46 great-grandchildren. Three complete sets of four generations were in attendance at the gathering, which was presided over by the Rev. G. F. Dyson. A constant supply of clean, dry socks was essential for troops fighting in the muddy trenches of France, their only defence against the dreaded condition, trench foot. Thousands of Australian schoolchildren and women, working at home or in community groups coordinated by the Australian Comforts Fund, rose to the knitting challenge. Specialised pattern books were available and socks had to meet a strict standard. There was to be no seam which could rub against the soldier's skin and the socks had to be big enough to allow for shrinkage. The women of the North Carlton Presbyterian Church 1 would have been particularly aware of the need as their minister, the Reverend John Lelean Cope, had just returned from a period of service as a chaplain in France. During the course of World War 1 Australians knitted over 1 million pairs of socks as gifts for the troops. It has been estimated that, at 10 hours of work per pair, that would be an extraordinary 10 million hours of work. The Australian population then numbered less than five million. 1 This church, now demolished, was in Nicholson Street near the corner of Princes Street. The manse, in Princes Street, survives and today houses the Carlton Neighbourhood Learning Centre. An Australian soldier has had the experience of wearing a pair of socks, knitted by a member of the North Carlton Presbyterian Knitting Club, after they had been at the bottom of the sea for several weeks. The members of the club have received a letter, dated 5th April, from Miss Mabel R. Bishop, of Weymouth, Dorset, England, in which she states that the vessel conveying the socks to England was torpedoed. All the men on board were saved, but the cargo went to the bottom of the sea. Her uncle, a British sailor, was assisting to salve the vessel, when he came across a pair of socks, with a note pinned to them, stating that they were knitted by the club. She sent them to an Australian soldier in the big Anzac camp at Wareham, England. They were none the worse the worse for their immersion. Miss Bishop has written the history of the socks for members of the club. It is understood that the whole of the cargo which was on the vessel has been salved, so that all the socks on board will have reached the soldiers. The Melbourne Trades Hall Council's decision in July 1918 to fly the red flag at the Trades Hall in Carlton proved to be a "red rag to a bull". Australia had been at war for four years and flying the red flag was seen by some as a symbol of anarchy and communism, and an act of contempt for the British Empire and those Australians who were fighting abroad. RED FLAG AT TRADES HALL. Not satisfied with flying the red flag on Labour days, the Melbourne Trades Hall Council has decided that it shall fly every day from the flagpole at the Trades Hall. This decision was reached at a meeting of the council last week. A motion that the decision of the council be submitted to the individual unions was defeated. Recently the council agreed that the flag should be flown to mark special occasions in the history of the Labour movement. This, however, did not suit the peace-at-any-price section of the council, the members of which regard the Union Jack with undisguised contempt and a successful effort was made to publicly exhibit the feelings of this section by the constant display of the red flag. In the minds of these men the flying of the red flag proclaims that the Trades Hall has cut itself adrift from the British Empire and has no sympathy with the aims of the Allies in the war. According to an official Labour publication the triennial conference of the Australian Labour party at Perth adopted the red flag as the emblem of the party. The mother of a serving soldier expressed her opinion in a letter to The Herald. Help us to protest against the Red Flag flying at the Trades Hall on any occasion. It is an insult to Australian mothers whose sons are fighting for freedom at the front, while these men who want the red flag to fly are living in comfort. Fly the Union Jack or nothing! Let us go hand in hand with our boys. Meanwhile, Victorian Government officials considered whether flying the red flag was sufficient grounds for the original crown land grant, dating back to 1875, to be cancelled. Mr F. G. Clarke. Minister for Lands, stated today that he did not propose to take any action because the Trades Hall Council had decided to fly the red flag on its building, which was erected on a site that was a Crown grant. Expert State officers explained today that as the site of the Trades Hall is a Crown grant vested in trustees, the present occupants can only be disturbed by passing an Act of Parliament. Official records show that the Crown grant held is dated October 11, 1875 … Under the terms of the Crown grant a trustee can only be removed from the register in case of death, residence outside the State, or refusal or inability to act on the trust. When a vacancy occurs for any of these reasons, the Governor-In-Council can appoint a new trustee. It is also provided in the grant that should the trustees permit or suffer the land and premises to be used for any purposes other than those for which the land was granted (Trades Hall and Literary Institute); allow premises to become out of order or repair; alienate, or attempt to alienate, the land, it shall be lawful for the Crown to re-enter upon the site, and hold it as if no grant had been made. In the opinion of expert land officers the flying of a red flag, while it may possibly furnish a Government with a reason for asking Parliament to revoke or vary a grant, is not sufficient to enable a Ministry to cancel the Crown grant. Individual unions were not given the opportunity to vote on the proposal to fly the red flag and some, like the Lift Attendants' Union, decided to vote with their feet and withdraw their affiliation with Trades Hall. It was rumoured that the Tent and Sailmakers' Union had refused to make the flag, but this was denied by Trades Hall Council President, Mr E.F. Russell. Mr E.F. Russell, President of the Trades Hall Council, said today that it was not true that Tent and Sailmakers' Union had refused to make the Red Flag which the Trades Hall Council has decided is to be flown from the flagpole at the Trades Hall. Mr Russell stated that the delay which had occurred In procuring the flag was due to the fact that the special material required was difficult to obtain. The order had been placed, however, and it was expected that the flag would be ready shortly. There were calls for the Commonwealth Government to intervene and new regulations under the War Precautions Act were introduced in September 1918. A remarkable story of assault was told to the police on Thursday by a married woman named Dorothy Cantlon, who now lies in Melbourne Hospital with injuries to the head. According to the statement she made to the police, Mrs. Cantlon left her home at 528 Drummond-street, Carlton, about 2 p.m. yesterday to draw her pension at the orderly rooms. Near the Woolpack Hotel she met Mr. Shaw, a butcher, talking to a man seated in a motor car. Mr. Shaw, it is said, told his friend to drive Mrs. Cantlon wherever she wanted to go. The man drove her to several places, and finally they went to an hotel some distance from the city. On the return journey to Melbourne along Plenty-road, it is alleged, the driver suddenly turned to his companion and said, "Are you Mrs. Joe Cantlon?" And when she replied in the affirmative he added "I'll fix you up, because Joe Cantlon separated me from my wife." With that Mrs. Cantlon asserts that the man threw her out of the car, and she was rendered unconscious on striking the ground. The next chapter of the story was supplied to the police by a cattle dealer named Edwin Lynch, of South Morang, who was yesterday droving some cattle along Plenty-road to the city. He noticed a man driving a car along the road at a very fast pace, and he called out to the driver to slacken speed. The car, however, struck one of the beasts, and then swerved into three others. Lynch spurred his horse and overtook the car and obtained the number. On inspecting the cattle, he saw a woman lying on the road, bleeding from a wound in the head. Lynch informed the Heidelberg police that he heard the woman, who gave the name of Mrs. Cantlon, say that she was struck on the head when she fell out of the car. The injured woman was admitted to Melbourne Hospital. An early arrest of the driver is probable. Homelessness has always been an issue in Carlton, but in recent years it has become a more visible presence, with people sleeping rough under shop verandahs or begging in Lygon Street. The reasons for homelessness are many and varied and there is no "one size fits all" solution. However, the basic human need for food and shelter is always present. In August 1954, Herald reporter Desmond Zwar went undercover as a "hobo for a day". One of the places he visited on that day was St Anne's Hall, a Roman Catholic girls' hostel on the corner of Rathdowne and Victoria Streets, Carlton. The Daughters of Charity, who managed the hostel, offered a midday handout of food to people in need. Already a queue was forming outside the grey hostel. Shabby men on a seat near us, three other dead-beats were drinking wine out of a bottle. Dotted about the gardens, shabby men were watching the door of St. Anne's and the clock across the road. By 11.45 a.m. I was getting hungry again. Archie said. "When we go over to the queue, watch out for plain-clothes coppers. A young bloke like you should be registered with the Employment." On the seat a few yards away one of the wine drinkers suddenly staggered to his feet and lunged at his mate. The punch missed and the mate pulled the man down to the ground, swearing at him. Oblivious of the scuffle, the third man went on drinking. The hands of the clock said 12 noon, so we joined the queue – 22 of us. Old men with beards … young men with thin, haggard faces and blood-shot eyes … a well-dressed fat man, reading a paper. At 12.10 p.m. the queue moved forward. A middle-aged woman in a pink smock handed out parcels. Each man touched his hat as he reached her, muttering thanks. I touched my dripping hat, and clutched the warm newspaper-wrapped parcel. Like the others I quickly shoved it into my pocket and made for the gardens. Inside the paper were two thick slices of bread with a generous helping of stew in the centre. It tasted good. Bright sunshine was warming my back. I looked over to the other seat and the three wine-drinkers had resumed their swilling. Note: The report includes a photo of people standing in the queue outside St Anne's. Their faces have been crossed out to prevent identification. Desmond Zwar had food and shelter for a day and a night, then he filed his report and returned to a relatively comfortable life. The memory that stayed with him was the generosity of the people he had met and their willingness to share what little they had. In September 1917 the Weekly Times reported on the annual meeting of the Victorian Association of Crèches. "Carlton Crèche states that everything is satisfactory. Mothers benefited, 85; children's attendances, 3730. The committee has purchased a piece of land in Neil street, Carlton, to build a new crèche later on, as the present premises are unsuitable." By June 1916, after two years of operation, the committee had cleared all its debts including £900 for the land and building. Now its intention was to raise funds for new accommodation. As reported above, this goal had been reached by September 1917. The foundation stone was laid in June 1919 and the new crèche opened before the end of that year. It is believed to be the first purpose-built creche constructed in Melbourne and was to serve the mothers and babies of Carlton into the 21st century, when the building was converted to apartments. The furore caused by flying the red flag at Trades Hall in Carlton had a resolution of sorts in September 1918, when new regulations under the War Precautions Act were introduced. The far-reaching regulations prohibited "the exhibition or use, without the permission of the Minister in writing, of any red flag on any building, or on any land used in connection there-with, or on any ship or other vessel, or in any public place, or in connection with any procession or demonstration." The only exemption allowed was the official use of the red flag for signalling or to denote danger. The flying of the red flag, or any flag, may be prohibited under a War Precautions Regulation issued yesterday. The regulation provides that the Minister for Defence may, by notice the "Commonwealth Gazette," either absolutely or subject to such conditions and restrictions as are from time to time specified by him in writing prohibit the exhibition or use of any flag on any building, any land in connection with a building, vessel, or public place, or in connection with any procession or demonstration. The exhibition or use of a flag in contravention of any condition or restriction specified by the Minister shall be deemed to be in contravention of the regulation. Any person who exhibits, uses, authorises, or permits the exhibition or use of any such flag, in contravention of the regulation shall be guilty of an offence. Where any building or land on which a flag is exhibited or used in contravention of the regulations is owned, managed, or controlled by any association, society, or committee of management, the trustees, executive council, president, secretary, and other officers of the association, society, or committee shall be severally guilty of an offence. The Trades Hall Council at a "special call" meeting last night considered the question of flying the red flag on the Trades Hall. A resolution providing for the flying of the flag every day was rescinded, and a substitute motion approving of flying the flag on special labour anniversaries agreed to. The decision of the council will be conveyed to the Acting Prime Minister (Mr. Watt), and a desire expressed to fly the flag on occasions to be specified. Following the recent issue of a regulation under the War Precautions Act, a proclamation was issued on Saturday over the signature of the Minister for Defence (Senator Pearce) prohibiting the display of the red flag. The notice applies the prohibition to "the exhibition or use, without the permission of the Minister in writing, of any red flag on any building, or on any land used in connection there-with, or on any ship or other vessell, or in any public place, or in connection with any procession or demonstration." The only exemption is in the case of the official use of the red flag for signalling or to denote danger. Soldier settlements schemes were in their infancy in 1917 but problems were already being encountered. There were many complaints like this one about lengthy bureaucratic processes, unsuitable land being bought and soldiers being offered previously unworked land which would require many years of labour before it produced a financial return. Sir,- I earnestly beg you will grant me space to show the serious delay that occurs where returned soldiers are endeavoring to get settled on the land. I gave the only son available to fight for country and Empire. He is returned wounded, and useless for trade for which he was apprenticed. We spent much time in travelling, eventually finding a property at Hurstbridge. Orchard in full profit, the owner of which, through ill-health, desires to sell at a price £200 less than shire valuation. It is now seven weeks since all papers, duly signed, were placed in the hands of the department. Up to now nothing further has been heard. Private buyer wish for it, but from patriotic motives the owner desires to sell to returned soldier: but even patience has its limits. If private firm were selling, it would be settled in a week. If the 3 per cent who apply for improved property out of the few who have returned are to experience such slow methods, what will happen when war ceases and our boys come back in hundreds of thousands, apart from others who no doubt will leave the old home to settle on land? I am afraid the Angel Gabriel will sound the trumpet on the day of judgment before they are fixed up. 301 Nicholson-street, Carlton, 23rd October. John Butler's comments on his son's situation are restrained but the reality was quite stark. When he enlisted in January 1916, Ernest William Butler was 19 years and 8 months old and had been apprenticed as a cutter to a Bourke Street tailor for five years. He left Australia on RMS Malwa in March 1916 and joined his unit of the 24th battalion in France on 5 August of that year. His active service lasted less than a month. He was wounded on August 24, his injuries including damage to his right arm, and was almost immediately evacuated to hospital in England. In February 1917 he sailed on the Benalla, apparently for a home furlough, but was discharged medically unfit in Melbourne in June 1917. Carlton was a lawless place in the 1920s, with members of rival push gangs fighting for their share of the territory. "The Push" was implicated in the bombing of the Carlton Picture Theatre on a Saturday night in October 1926. CARLTON THEATRE DAMAGED. WAS "PUSH" RESPONSIBLE? Carlton "pushes," who have terrorised business people of the suburb for months past, staged a dastardly outrage at the Carlton Picture Theatre, Faraday-street, Carlton, on Saturday night. What is believed to have been either a "home-made" bomb, or several sticks of gelignite were thrown into two outhouses at the rear, of the theatre, completely wrecking them, and causing damage to the concrete floor of the stage. There were few people in the theatre when the explosion occurred, and they showed admirable coolness in refraining from a wild dash from the premises. The explosion resembled the booming of large cannon, and brought shopkeepers running into the street. Constable G. L. Browne was travelling along Lygon-street in a cable tram, when the report sounded. Windows rattled in the vicinity, and a distinct tremor passed along the line of shops near the theatre. Browne jumped from the tram, and investigating the cause, quickly located it. When he raced down a narrow lane at the rear of the picture theatre he saw smoke issuing from one of the doors. At first he thought it was a fire, until he smelt the acrid odor of gelignite. When the smoke cleared Browne noticed that two of the outhouses were in ruins, and there was a large crack in the concrete floor of the theatre stage. Hundreds of people surrounded the theatre, but the constable says that he saw nobody running away from the scene of the outrage. Mr. Z. Markov, Eildon-road, St. Kilda, the theatre manager, was not present when the explosion occurred. Naturally he was very much incensed at the attack made on the property. Mr. Markov made some startling allegations against several pushes in the locality which should be thoroughly investigated by the police. "For months past we have been receiving threatening letters from the pushes," said Mr. Markov. "I have often found notes thrust under the door of my office warning me that unless members of the push were not interfered with in the theatre I would be dealt with. Attendants, who have been obliged to eject disorderly young men during the performance, have also been challenged to 'come outside and fight.' Of course, I never took the threats seriously, believing that it was all a big bluff. I never dreamed that the pushes would go to such lengths. The damage to the theatre is only slight, and it is covered by insurance, but there might have been loss of life." Mr. G. Roatley, Forrest-street, Collingwood, assistant manager, said that he unlocked the doors of the outhouses at 7 p.m. and switched on the electric light. The place was then in order, and there were no suspicious characters in the lane at the time. Some twenty minutes later the theatre shook beneath the impact of a terrific explosion. The report was such a severe one that he was surprised that the damage was not more extensive. The Age, 25 October 1926, p. 9. The lane at the rear of the theatre, where Constable G. L. Browne raced to locate the source of the blast, is now called Faraday Lane. It is a closed laneway, but in the 1920s it joined Cardigan Lane and ran along the rear of houses on the west side of Dorritt Street, coming out near Grattan Street at the southern end. Cardigan Lane was discontinued when the land was acquired for expansion of the Royal Women's Hospital in Cardigan Street. Snakes are known to be active in the warmer months of the year, when they come out of hibernation. In November 1900 the Carney family of Faraday Street, Carlton, fell victim to a snake attack of a very different kind. 1 Dr William Ostermeyer had a practice at 60 Elgin Street, Carlton, in 1900. In July 1901, the Australian Town and Country Journal published a recipe for "Pharaoh's Serpents' Eggs", with a warning that the fumes are poisonous. The alternative "non-poisonous" recipe, using bichromate of potash and nitrate of potassa, would be considered toxic by today's standards. Dissolve mercury in moderately diluted nitric acid by means of heat, taking care that there is always an excess of metallic mercury remaining; decant the solution, and pour into it a solution of sulpho-cyanide of ammonium or potassium. Equal weights of the two solutions should be thus mixed. A precipitate will fall to the bottom of the beaker or jar. This is collected on a filter, and washed two or three times with water, and then put in a warm place to dry. Take for every pound weight of this material an ounce of gum tragacanth which has been soaked in hot water. When the gum is completely softened it is to be transferred to a mortar, and the pulverised and dried precipitate gradually mixed with it by means of a little water, so as to present a somewhat dry pill mass, from which pellets of the desired size are formed by hand, put on a sheet of glass and dried again. They are then ready for use. The fumes from these pills are poisonous. Pulverise separately two parts bichromate of potash, one part nitrate of potassa, and three parts of white sugar. When well pulverised mix intimately. Make small paper cones of the desired size, and press the mixture into them. They are then ready for use, and must be kept away from moisture and light." Underage enlistment was common in World War 1. The record appears to be held by an English boy, Sidney Lewis, born in 1903, twelve years old when he enlisted and 13 when he fought at the Battle of the Somme in 1916. The best known Australian boy soldier is Private James Charles Martin who was 14 years and 9 months when he died at Gallipoli. When Queen Mary was in Melbourne in 1901, on the occasion of the opening of the first Federal Parliament, she visited the Women's Hospital, Carlton, and was photographed with a baby in her arms. The baby is now Private J. A. Wharton, of the Victorian Infantry. His parents live in Richmond. He is a husky fighter, aged 16 years, with 14 months active service to his credit. He enlisted when 14½, giving his age as 18, and came scatheless through the terrible fighting at Bullecourt and in other engagements. Recently he sent a cutting of the photograph mentioned from the Melbourne "Herald" to the Queen, and was immediately invited to Buckingham Palace, where he spent last Sunday, dined with the King and Queen, and the Queen acted as mother to him, personally showing him over the Palace. The incident has revealed Private Wharton's age, and it is improbable that he will be again sent to the front. It makes a great story but does not entirely stand up to scrutiny as indicated in a more detailed account of Private Wharton's escapade, published in the Weekly Times in November 1917. He actually enlisted early in 1917 and sailed from Melbourne on May 11, his 16th birthday. By November his parents had not received word that he had been to the front. In any case he could not have fought at Bullecourt, the battle for which took place some months before. A letter received recently showed that he was still in England at the beginning of September. The background to Private Wharton's enlistment, however, is a reminder of the fervour with which many Australians joined the conflict. Jack's father, now Corporal Joseph John Arthur, enlisted with the Australian Imperial Force early in the war, and Jack, the eldest of eight children, shared with his mother the task of helping to keep the home together. He was employed as a lorry driver, and was earning £2/2/ a week, but was anxious to get to the front. "He gave me no rest," says Mrs Arthur, who lives at 12 Shelley street, Richmond. "He pestered me for over twelve months. I told him that he was my sole support, and I could not let him go. At last he worried me so much that I promised that if his father came back he could go. His father did come back, having been wounded in the leg, and sure enough Jack kept me to my promise. As he was only 15, and did not want the authorities to find this out, he enlisted under the name of Wharton, which was my maiden name and I signed his papers." Mrs Arthur's husband, Corporal Arthur, fought on the Somme, at Pozieres, and elsewhere. He was wounded and returned to Australia, but in November 1917 he re-enlisted, found fit for home service only. Corporal Arthur died in 1952. His boy soldier son outlived him by only 4 years. The armistice of 11 November 1918 brought to an end the bloody war that saw over 60,000 Australians killed and 156,000 wounded, gassed, or taken prisoner. When the news reached Melbourne, crowds of people flooded into the city to celebrate. Some wild scenes were reported and a Carlton tram became a casualty of the celebrations.
" … As the evening wore on and the crowds increased some remarkable pranks were played by the more boisterous elements. In their first flush of enthusiasm groups of youths and men were content to sit on the top of the tram cars as they crawled through the city. But later, after the traffic had been stopped and the cars were lying stationary on the various route bases, crowds of men and women seized the cars and lifted them bodily off the tracks. At the intersection of Collins and Lonsdale streets [a geographical impossibility, as the streets run parallel to each other] the crowd, after marching up the street gathering a volume of recruits on the way, attacked a Carlton tram. [They] dragged the dummy into Lonsdale-street along the slight decline that leads to Elizabeth-street. Then cheering and shouting they started the journey. Inside and on top of the car were excited men and hysterical women. The tram gained momentum, and after travelling some distance attained a speed which was nearly dangerous for the adventurous passengers. They, apparently, did not care. The solitary constable on the scene set after the flying tram. It was too much for the crowd. They seized the policeman and hoisting him shoulder high ran after the car, which was stopped before any damage was done …"
The mood was jubilant, but more sedate, when the first contingent of returning Anzacs marched through the city streets on Saturday 23 November. Locally, as reported by The Argus, "Carlton wore a subdued aspect, as all who could possibly do so found their way to the city and joined in the general jubilations there. In the streets of Carlton and on many of the houses flags were flown in profusion." The Australian flag was seen flying from public and private buildings everywhere, but at Trades Hall in Lygon Street, the divisive issue of flying the red flag was once again raised. The Trades Hall Council has decided that unless permission is granted by the Federal Government for the flying of the red flag on the Trades Hall no flags at all be flown from the building. The proposal caused a long debate at the council meeting. The moderate section of the members fought the suggestion strenuously but fruitlessly. The decision of the council is said to have been prompted by resentment in the action of the Federal Government in refusing permission for the flying of the red flag on certain days. A delegate stated yesterday, "We are against giving preference to other flags over our flag, which is the red flag." Several amendments were moved at the council meeting. One of these was that only one of the two poles at the Trades Hall be left flagless as a protest. Another was that the question should be referred to the unions. Both amendments were defeated, and the decision for "red flag or none" was declared agreed to on the voices. Many leading union officials deplore the decision, which carries the implication that the Australian flag, which has been flying over the hall since the armistice was signed, must be be hauled down. The emblem was still mast high yesterday, and a leading member of the council asked if it was intended to lower it, enigmatically replied: "It's flying yet, anyhow." Later that day, The Herald reported that the Australian flag had been lowered and both flagpoles were bare. In pursuance, apparently, of the decision of the Trades Hall Council that no flags shall be flown from the poles at the Trades Hall until such time as the Federal Government gives permission for the red flag to be flown, a caretaker of the Trades Hall this morning removed from one of the poles the Australian flag, which had been flying there since the announcement of the signing of the armistice. Both flagpoles on the twin towers of the Trades Hall are now bare. When the red flag was flown at the hall on the occasion of days of Labor events, the Australian flag was also flown from the other flagpole. Feelings were running high during the conscription referendum campaign of 1917 and support for the "Yes/No" vote was often seen as divided along religious lines. According to some newspaper accounts, Carlton was under mob rule on the evening of Saturday 15 December 2017, when a disturbance at a meeting of the Victorian Protestant Federation at St Judes church hall in Lygon Street morphed into a "Yes/No" stoush a few blocks away in Faraday Street. MOB RULE IN CARLTON, FABRICATION OR FACT? POLICE SAY THERE WAS NONE. Last night's Herald, with the signature appended of one of its reporters, relates some riotious proceedings at Carlton on Saturday evening. Our Melbourne correspondent has endeavored to obtain verifying particulars of the incident but the Carlton police say that they know nothing of it, because it never took place. The matter will, no doubt, be further investigated by the police authorities. The Herald's report reads as follows: - That organised bands are taking advantage of the general unrest to set law and order at defiance, was indicated at St. Jude's Parish Hall, Lygon street, Carlton, on December 15, when a mob entered, interrupted the proceedings, and assaulted those who had attended. The meeting was called by circular, which announced that a meeting would be held in the hall at 8 o'clock, with the object of establishing a branch or branches of the Victorian Protestant Federation in Carlton. The motto of the Federation, "For God, King and Empire" was quoted, and the statement embodied that it would be "an opportunity for all Protestants to link up and show a united front in preserving the rights and liberties enjoyed by them under the British flag." It was noticed that when the National Anthem was sung a large number of people at the back of the hall remained sitting and silent. As soon as the chairman, Mr T. Lewis, opened the proceedings by reading the circular convening the meeting, an uproar arose. "We have no God, no King, no Empire!" they shouted, and continued to interrupt by ribaldry and choruses. The assertion of the chairman that the meeting had no political significance whatever was replied to by three cheers for Dr. Mannix. Hoots, catcalls, and general clamor prevented the chairman from continuing, so he introduced the principal speaker, the Rev. T.S.B. Woodfull. Mr Woodfull fared no better than the chairman. He was howled down and cheers were again given for Dr. Mannix. "Surely Protestants have some right to meet together," Mr Woodfull said, but only those close by could hear him. "We Protestants do not interrupt the meetings of those of other faiths. Why cannot you go away and leave us in peace?" As appeals for fair play were useless Mr Woodfull said the police would be asked to remove interrupters, and the police were called. Several men were put out, but still the uproar continued. Eventually the police ejected all those who were hostile, and the business of the meeting went through, though the noise of the roaring, surging mob without made hearing difficult. When those inside left the hall they were pelted with stones and eggs and struck with sticks. Several women who were afraid to leave by the front door were let out at the back into Keppel street. They were immediately assailed by a crowd of angry women and roughly handled. Mr Woodfull fought his way through the crowd and reached a tram. His ability to give, as well as take, hard knocks seemed to keep the cowardly mob back. He was pelted from a distance, however. Eggs and stones were thrown at the Rev. E.S. Watsford, and the Rev. J. Good was chased through the streets and forced to seek shelter in a private house after he had been struck with stones. Here he was besieged until the women in whose house he had taken shelter made her way out with a basket on her arms as if going shopping. In reality she went to ring up the police. When the mounted troopers appeared the besiegers dispersed. One man who had attended the meeting was pursued right round the Melbourne Cemetery by rioters, and only his fleetness saved him. Finally he was rescued by a soldier who, with a lady, was driving past in a jinker. The soldier took him up, and, whipping up the horse, dashed through the crowd amid a shower of missiles. This did not satisfy the malice of the mob, for on Sunday afternoon several young women who were recognised as having attended the meeting, were assailed and chased through the University grounds, and had to appeal to the police for protection. As the mob followed they shouted, "There go two of the Protestant dogs in Good's mob!" J.T. Beckett, 159-162 Flinders St. The Bendigo Independent, 18 December 1917, p. 10. Despite The Bendigo Independent's claim that the police knew nothing about the alleged riot on the Saturday night, several arrests were reported in Melbourne newspapers the following Monday. Carlton footballer William "Mickey" Dunn was charged with offensive behaviour and fined 20 shillings, while two women from Carlton and Abbotsford were fined twice the amount of £2 each. William Leslie Dunn, aged 20 years, a felt hatter, was charged in the Carlton Court on Thursday, before Messrs. D.E. Hayes (chairman) and W. Brunton, J.P.'s with having behaved in an offensive manner on Saturday night last. Sergeant Stallard prosecuted and Mr. W.J. Tucker appeared for the defence. Constable H.G. Hinkley said: -At 10 minutes past 11 o'clock last Saturday night there was a mob of about 200 people on the corner of Faraday and Cardigan streets. Accused was prominent among the mob and he started an argument with a man named Hobden, saying to the latter, 'I'll have you on," at the same time assuming a fighting attitude Dunn also acted in a threaten-ing manner, yelling and calling out, also boo-hooing. He was subsequently arrested. To Mr Tucker -I am not making a mistake as to Dunn taking part in the disturbance and rushing through the crowd. Constable R. Ballantine said: -Dunn was among the crowd, and he behaved in an offensive manner, and wanted to fight anyone. Hobden was a "Yes" man and Dunn "No," and it was over this question an argument started. Constable T.D. Morgans gave corroborative evidence. Accused, who said he was a prominent Carlton football player, denied the charge. To Sergeant Stallard. -I was wearing a "No" button but had no argument in connection with the referendum. The police were telling deliberate falsehoods. A fine of 20/ was imposed, in default seven days imprisonment. Mr Tucker said that his client wished the Court to know that he (Dunn) had nothing whatever to do with the disgraceful proceedings which occurred at St Jude's Hall earlier in the same evening, and the magistrates said that there was no reason to suppose that he had. In the Carlton Court on Friday, before Messrs. R. S. Callender (chairman) and H. J. Love, J.P.'s, Julia Mary Hart, 508 Drummond street, Carlton, and Mary Richardson, 8 Albert street, Abbotsford, were charged with having behaved in an in-sulting manner on December 15. Sergeant C. Stallard prosecuted. Both women pleaded guilty. Constable R. Ballantine said that at half past 10 o'clock on the evening in question a crowd of about 150 persons had assembled on the comer of Cardigan and Faraday streets. The two women were there, calling out in a loud tone of voice, "Come out, all you Billie Hughes rotters and wasters, and we'll give you the same as we gave old Good." This remark had reference to a disturbance which took place earlier in the evening, when the Rev. J. Good, vicar of St. Jude's Anglican Church, Carlton, was chased and stoned by a mob. A number of persons in the crowd had pieces of roadmetal in their hands. Mounted troopers and other members of the police force arrived and dispersed the crowd. Constable H.G. Hinkley said that Hart and Richardson were calling out loudly, and boohooing and behaving in an insulting manner. The two women were each fined �2, in default 14 days' imprisonment. The Argus, 29 December 1917, p. 9. The weeks leading up to Christmas are traditionally the busiest time for retail sales, but also a time of increased shoplifting activity. In 1954, two North Carlton housewives went on a shoplifting spree that landed them in court. Their husbands would have found out about their exploits when their names were published in the newspaper. Two respectable Melbourne mothers, tempted by Christmas goods displayed in the city, robbed six leading stores, the City Court was told yesterday. Mr. C. J. McDonald, for the women, said that the husbands, who held good jobs, did not know about the thefts. There were young children in both families. Each woman was fined a total of £30 on six charges of larceny. They were Mrs. Ellen Horton, 29, of McIlwraith st., North Carlton; and Mrs. Melvia Eppongstall [sic], 25, of Richardson st., North Carlton. Senior-constable Raymond Solin said he was called to Woolworths, Bourke st., store on November 21, at 12.30 p.m. He said the store supervisor told him she had caught Mrs. Horton and Mrs. Eppongstall [sic] stealing goods. Constable Solin said both women admitted the theft, and made statements that they had taken socks, ties, gloves, handkerchiefs, polish, toothpaste, a jumper, scarf, and material from Snows, Treadways, Woolworths, Rockmans, Sharpes, and Paynes. Constable Solin said they admitted they began by taking a piece of green material from Rockmans. They said after that it was easy, and they just kept on taking stuff from the shops. One woman would pick it up, and the other would put it into her shopping bag, said Constable Solin. Mr. McDonald asked Mr. Mohr, S.M., for three months for payment of the fines. Mr. Mohr: Do you mean without their husbands knowing? Mr. Mohr said they could each pay £10, and the remainder over six weeks. Note: Electoral rolls for 1954 confirm that Ellen Dora Horton lived at 20 McIlwraith Street and Melvia Doreen Eppingstall lived at 221 Richardson Street. Decades earlier, in December 1889, a self-confessed kleptomaniac appeared in Carlton Court to answer a charge of stealing two rolls of silk, valued at £15, the property of Ball & Welch of Drummond Street, Carlton. Mary Ann Wilkie, a "respectable looking" married woman, had an extensive record of theft going back to the 1870s. She had served time in gaol on several occasions, but she continued to offend. SAYS SHE IS A CONFIRMED KLEPTOMANIAC. "I CANNOT HELP IT." HAS BEAUTIFUL HOME. Rather a respectable looking woman named Mary Ann Wilkie was charged, before the Carlton-Bench, this morning, with stealing two pieces of silk valued at L15, the property of Messrs Ball and Welch. It appears that at about 9 o'clock this morning the woman went to Messrs Ball and Welch's, and sat down in a chair whilst she made some purchases. The assistant had occasion to leave for a few moments to go to a different part of the establishment, and on his return he noticed that two rolls of silk were missing. Suspicion at once fell upon the prisoner, and observing that the woman was endeavoring to conceal something beneath her dress, the assistant moved the skirt on one and found the missing goods. The services of Senior-constable Cassidy were called in, and the woman was given into custody. On being searched at the local watchhouse it was discovered that the woman had a large bag, or pillow-slip, fixed under the skirt of her dress, which appeared to have been placed there as a sort of receptacle for goods stolen in this way. In asking for a remand Senior-constable Cassidy stated that the woman was a notorious shop-lifter, and had been previously convicted for similar offence. In answer to a question from the Bench as to whether she had anything to say, the prisoner said, "I couldn't help it, your Worships. I've got a beautiful home, and my husband holds a high position. I have a large family. My husband, who is a contractor, lives in Little Collins street. I get a sort of mania, and cannot help taking things, especially if I take a drop of drink." The prisoner was then remanded for a week, bail being allowed in one surety of L50, and the prisoner in her own recognisance of a like amount. Mrs Wilkie was subsequently sentenced to 12 months' gaol and she was back in custody again in August 1894 for a similar offence. Her last reported theft was ten years later in August 1904, when she was convicted of stealing articles of wearing apparel and household linen from her employer, Harry Walting of Macarthur Square, Carlton. Mary Ann Wilkie, aged 58, was charged at Carlton court yesterday with stealing various articles of wearing apparel and household linen, valued at 20/, the property of Harry Walting, an inspector in the employ of the City Council. From 9th ult. until 22nd inst. accused was employed by prosecutor to look after his house, and wait on his wife, who was ill. On 17th inst. his wife died, and the burial took place at Bacchus Marsh, accused being present at the funeral. On 23rd inst. she was removing her boxes from prosecutor's house in Macarthur-square, but they were brought back from the van, and, on a search being instituted by Constable Mills next day, some of the stolen property was found in a trunk that was about to be removed. The remainder was recovered at a house in which accused resided in Powlett-street, East Melbourne. The defence was that before her death Mrs. Walting informed accused that she could have whatever she cared for in the house, and that some of the things were taken home by prisoner for the purpose of being ironed. Accused was fined £5, in default of distress a month's imprisonment.